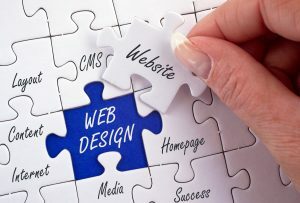 A custom web design has many advantages you will not get with a site built from a template. With a customized website, you have many more options to represent your brand with considerably more design options than your basic template. Design & Promote has over a decade of experience in web design, give us a call at 1-630-995-7109 or fill out the form on this page for more information on our services. Our team of designers will utilize the latest trends in custom web design to give your brand a modern look. We will make sure web visitors have a positive user experience with your website, whether it’s looking for contact information or the services you provide. Design & Promote will work to put your best representation on the internet and help your business grow. At Design & Promote our web design team understands not every business has the same objectives. We will meet with you to discuss your website, your goals, and the size of your audience. Whatever your business needs, we will address them with your website design and price the award winning work accordingly. Provide us your budget, and we will see what you need/keep/give up. Websites are produced every year, so fast that websites outlive their usefulness. As a result, business will suffer and may close due to lack of website traffic. Getting a professional custom web design will ensure the longevity of your site for years and get your business ahead of becoming obsolete. Additionally, you have an experienced team of designers from Design & Promote to support you and your website and help out when maintenance may get confusing. We will help you and advise you on necessary updates and how to keep your business in time with industry standards. Speak with us today at 1-630-995-7109 for more information, or submit the form on this page for more information.